The art of cooking isn't reserved for chefs only. With amazing recipes and carefully prepared ingredients from Silver Cuisine By BistroMD or Trifecta, you can become a great chef yourself. 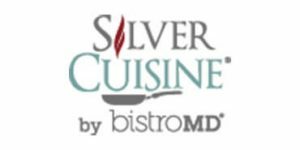 How to choose whether Silver Cuisine By BistroMD or Trifecta is better? Check out our honest comparison and find out everything you need to know about these two meal delivery services. Trifecta Nutrition allows you to enjoy ready-made organic meals that suit your lifestyle and create budget-friendly custom meals of your own by ordering precooked ingredients from the a la carte menu. Trifecta Nutrition offers 5 meals plans, including Clean, Paleo, Classic, Vegetarian, and Vegan. With Trifecta Nutrition, if you go with one of the meal plans, you can opt to receive 2-4 meals per day for 5-7 days a week. The company's a la carte menu has more than 30 items. Trifecta Nutrition offers Paleo, vegetarian, vegan, classic, and clean, minimally processed meals. In addition to fully prepared meals, it offers precooked proteins, carbs, and veggies that can be bought in bulk and freely combined and seasoned to taste. All meals on the menu are organic and free from gluten, dairy, and soy. Trifecta Nutrition delivers meals made of the highest-quality ingredients, all of which are USDA-certified organic. Its meals are fresh, never frozen, fish and seafood are wild-caught, and all meat is grass-fed. All meals are free from processed foods and artificial ingredients. Trifecta Nutrition meals are optimally balanced and rich in fiber, protein, and healthy monounsaturated and polyunsaturated fats. They rarely contain added oil and the oil used is of the highest quality. Portion size is carefully calculated and satisfies the needs of adults with an active lifestyle. With Trifecta Nutrition, you can edit, skip, pause or cancel your order whenever you want. The cutoff day to make changes to your order is the Friday a week before your expected delivery. Trifecta Nutrition may issue a refund or credit if you are not satisfied with your order. I have subscribed to several meal plan services this year in attempts to find the perfect match for me. I was so very hopeful that Trifecta would meet my needs for vegetarian (I try to stick to no meat during weekdays), unfortunately it is the WORST tasting food I have ever had. And I am not exaggerating. The first coconut curry rice veggie meal I had tasted like NOTHING. Like it was only texture, to the point where I was convinced that the company had just forgotten sauce. Moving on to meal number 2 quinoa and veggies...so salt, so sauce, just some veggies with quinoa. Moving on to my lunch today...it was literally a bunch of mush...the only identifiable items were mushrooms and olives. I literally took bites and just swallowed. I would scour the Internet for something (anything) better than what Trifecta offers. I can stomach most any food, knowing it's healthy and serving it's purpose. Trifecta meals are close to inedible. About as tasteless as a piece of cardboard.Trifecta meals are purchased as a reoccurring subscription, think old school magazine subscription scheme. Yes, it's very simple to sign up and give them your money. Just wait till it's time to cancel the service. They have a cut off date that you have cancel your subscription by, so they have time to update the kitchen with orders, understandable. Problem is, you can't cancel your subscription online, you have to call or email them. In my case, my cut off date was on a weekend, followed by a holiday. So, my messages were not addressed till it was too late and they did not make an exception, even though I was told that the kitchen had not made my food yet. They would not cancel the order. So, they sent me over $200 in tasteless junk.Ice Age meals taste much better and their business model isn't a subscription scam. I just started ordering from Trifecta, and so far I LOVE it. I've managed to eat healthier this week than I have in a long time, and I know if I continue on this path I'll definitely be seeing some weight loss results. At first I was apprehensive because of the price, plus I've had some meal delivery food in the past that has tasted kind of "meh", but I've really enjoyed all the meals I've tried! They're surprisingly good, and taste just like home-cooked meal prep food, but with a little extra attention to flavor detail that I rarely have time to care about when batch-cooking for the week.As far as the price goes, I've saved a TON of time that I would have normally spent meal planning, grocery shopping, and cooking on my weekends. I honestly feel kind of liberated. This is the easiest nutrition plan I've ever followed, and I'm loving the time back. The convenience of these meals it making it much easier for me to say "no" to crappy fast food, etc. that I shouldn't eat. Bonus- their customer service is on point- the chat tool on the website is amazing.